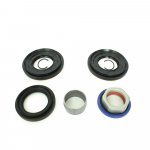 BMW 215 mm differential seal & assembly kit. This type differential housing is used in the following types: BMW E8X Z4 35i 2009+ BMW E8X.. 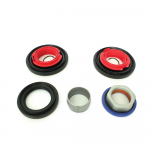 This BMW seal & assembly kit is used for BMW 215, 225 and 235 sized differential casings. This kit includes: 215 Pion seal (78x50x10/15) 215..